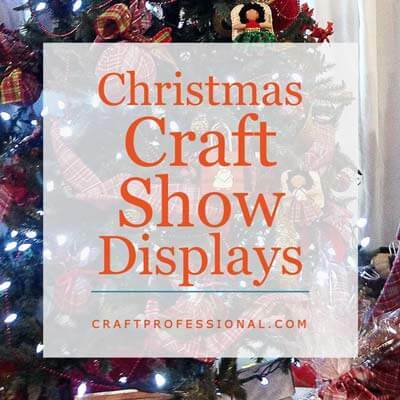 If you're getting ready to do a few Christmas craft fairs, you're probably looking for some decorations to spruce up your regular display and make it a little more festive. And, if you're like me, you're also looking for inexpensive decorations since they are seasonal and you won't use them for most of your shows. With that in mind, I've created some free printable Christmas tags and bunting you can use to get your craft booth into the holiday spirit. 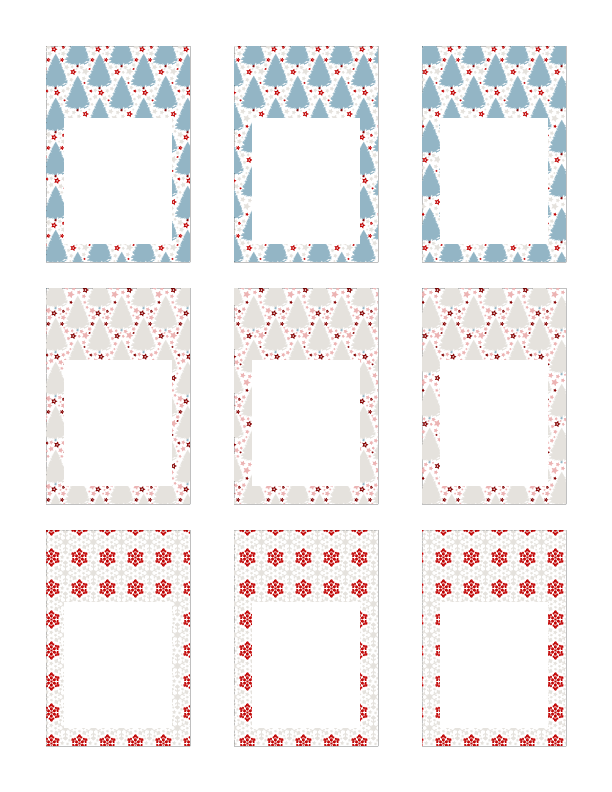 You can use these tags for gift wrapping and bunting for decorating your home for the holidays too! The tags I've created are 2 inches by 3 inches. They come in six different designs with matching colors, so you can mix and match them as you like. There's white space to write on the tags. Use them to write prices or information about your products. Or use them as gift tags for your holiday wrapping. Bunting is an easy way to brighten up a craft booth. 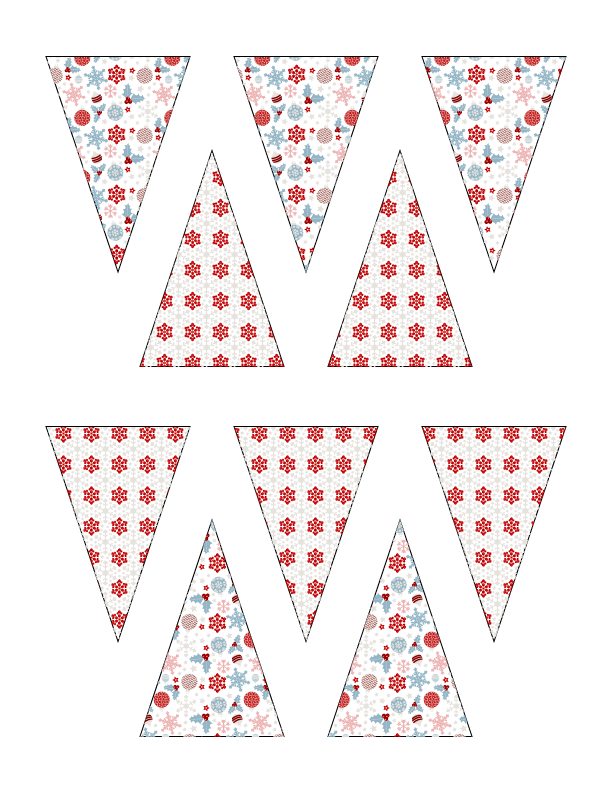 I've designed matching bunting in two sizes. 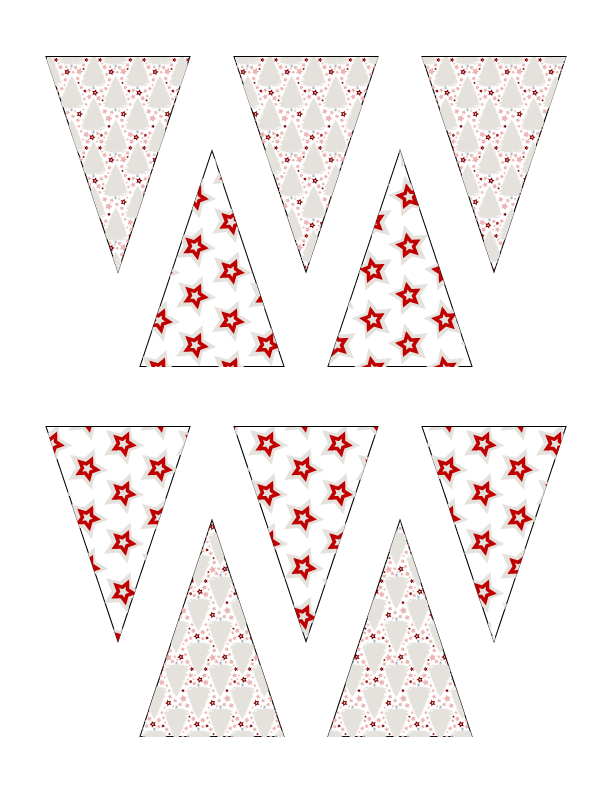 Just like the hang tags, the bunting comes in six patterns. 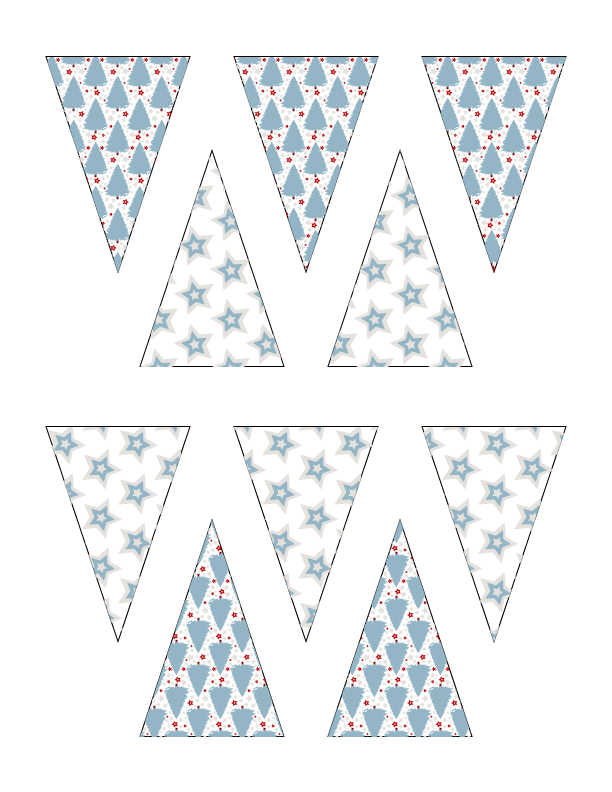 Larger flags to hang from your tent or the edge of a table. Plus small flags you can use to brighten up your displays for the holidays. 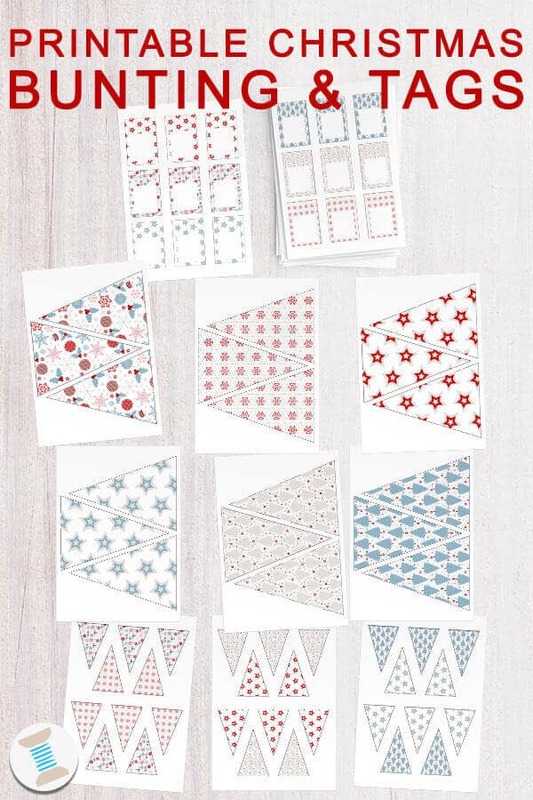 Simply download the bunting, print, cut, then punch holes and string them on whatever ribbon, yarn or twine matches with the rest of your booth. I would suggest using a heavier weight of paper for the bunting and the tags so they don't curl up. If you're concerned about using a lot of ink on your own printer, you might consider taking the files to an office supply shop to have them printed. Depending on how economical your printer is with ink, it might make sense to have them printed for you. My own local office supply store does a beautiful job of printing at reasonable prices. 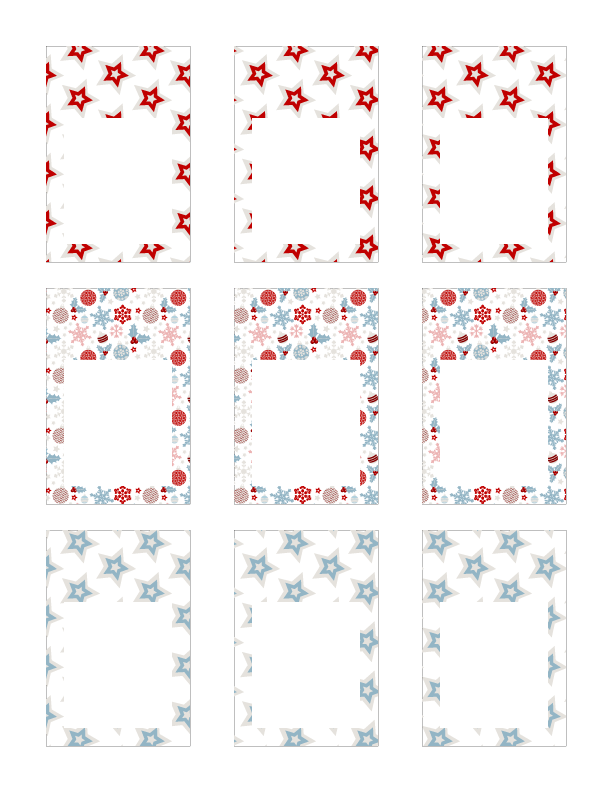 You can view and print the Printable Christmas Decorations by clicking the link below. Please Note: This file is just under 3MB. Depending on the speed of your Internet connection, it may take a while to download. Please be patient. 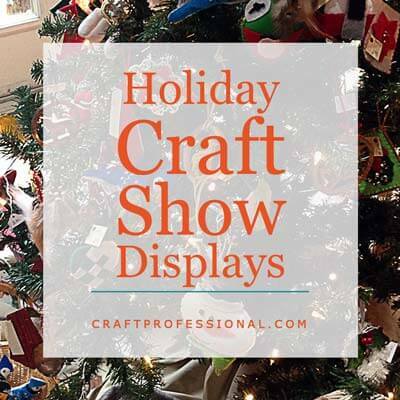 10 holiday craft show booths. 10 more Christmas craft show booth photos. 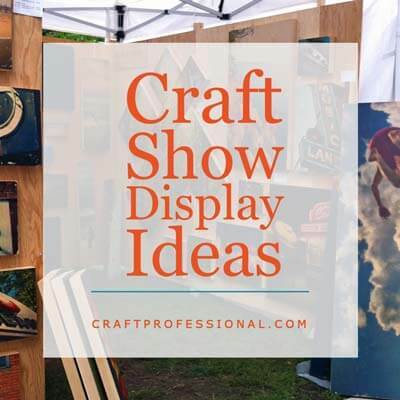 Links to hundreds of craft booth pictures.